What a tough, cheerful set of 2 kids backpacks! With beautiful illustrations of a cheeta on a road bike. These two children's backpacks are super fun for two siblings, boyfriends or a sister and a brother. 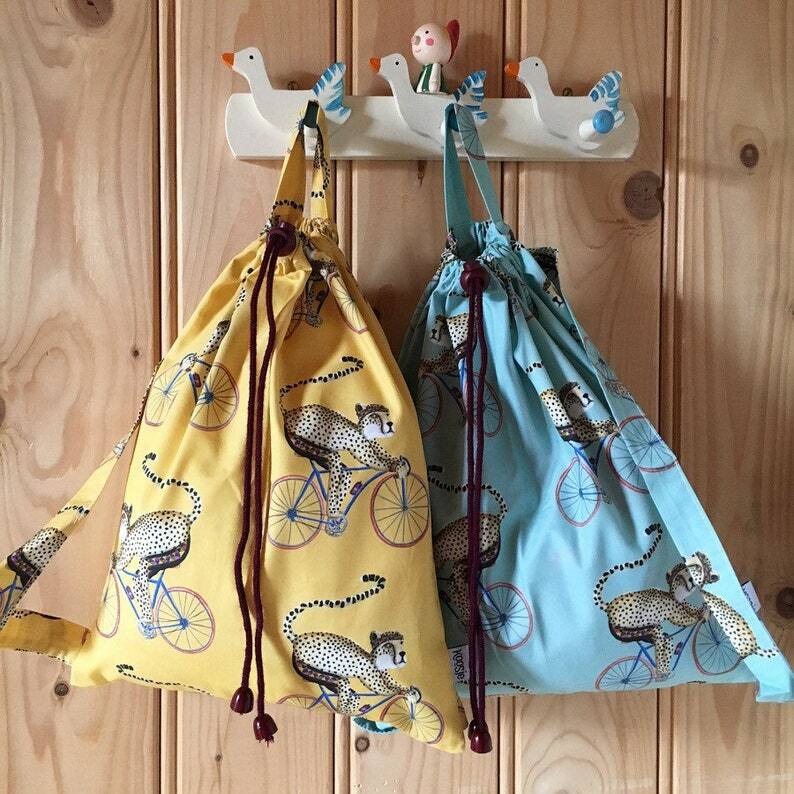 Collect your goodies in these cheerful cotton backpacks. Ideal for nursery, school, swimming, gym or a day away. Also nice to give as Kraamkado. The backpack make you open or close with the handy cord closure. These backpacks have a nice children's size so that your small backpack can wear on the back. The backpack can easily hang on the coat rack with the loop. The backpack is made with our own card of koos dust: ' Cheeta on road bike '. This unique backpack has been conceived and made with great care and attention. • The backpack is made of good quality 100% cotton. • Very sharp, beautiful printing.